Chances are you’ve been on the giving and receiving end of this familiar phrase more than once. You’re lucky to receive an opportunity. For a job. For a travel experience. For your relationship. Why do we give luck all the credit? Luck has nothing to do with any of it. Take relationships for example. Maybe the movies portray falling in love being as simple as walking down the street and locking eyes with someone, but that’s far from the reality of what it takes to make a relationship work. Extraordinary relationships don’t come to people because they are lucky. Long-lasting, quality relationships are the result of mutual respect, passion and commitment. What’s the secret? How do you create a relationship so passionate, so fulfilling that everyone is telling you how lucky you are? It starts with fulfilling your partner’s human needs. Every single one of us has six human needs that are fundamental to our happiness. We all require each of these needs to be met but in varying levels. Whatever your top needs are, it’s important you’re meeting them. And when you’re in a relationship, it’s important you’re also meeting the needs of your partner. Once you are able to meet your partner’s needs, your relationship will become a place of deep and meaningful joy and fulfillment. 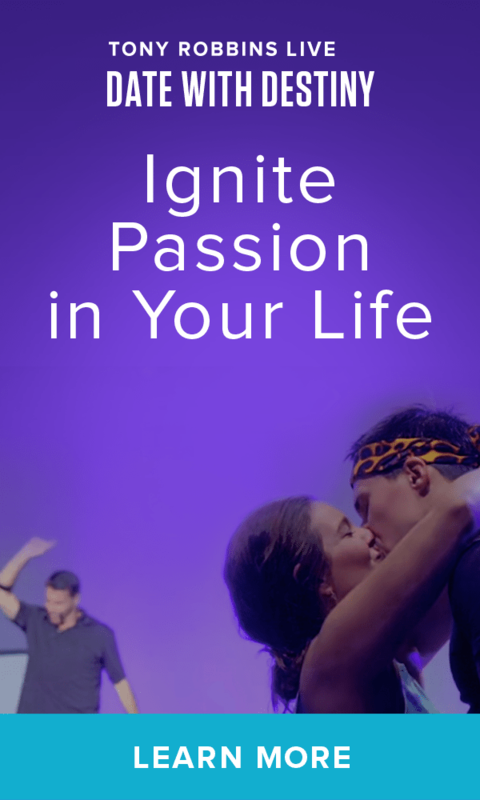 At Date With Destiny, Tony Robbins’ most exclusive six-day live event, you’ll dive into exploring the values that truly motivate you and your partner in life. This includes tapping into values about your career, health and financial goals, but it also heavily focuses on your relationships. At the base of your relationships are 6 human needs. Read more about them below, and take your relationships to the next level by attending Date With Destiny. What is the number one thing that everyone is looking for in a relationship? Certainty. Certainty that you’re going to avoid pain, certainty that you can trust your partner and certainty that you can feel comfortable in your relationship. When you think of “comfort,” don’t think of stagnation. Certainty and comfort are not synonymous with boredom. Having certainty in your relationship simply means that you’ve developed a bond with your partner that you are 100% certain about. You have no doubts about your love for them and trust that they wouldn’t do anything intentionally to bring you suffering. The next human need is uncertainty, or variety. Variety can come in many different forms; it doesn’t necessarily mean jumping from partner to partner. Variety can be learning a new skill, participating in a stimulating conversation, eating at a new restaurant or being thrilled when your partner surprises you with a bouquet of flowers. We need certainty to feel safe, but we also need uncertainty to feel captivated by our relationship. Why is it that you tell your partner things you don’t tell anyone else? Why do you rely on this one person to make you feel romantically fulfilled? Because they make you feel significant. One of our most crucial human needs is feeling significant. You want someone who makes you feel special and important. You can fulfill this for yourself by going after a goal or helping out in your community, but you also need to feel significant in the eyes of your partner. And to have a successful relationship, you need to make your partner feel significant as well. As you’ll learn at Date With Destiny, the fourth thing a relationship needs is connection and love. 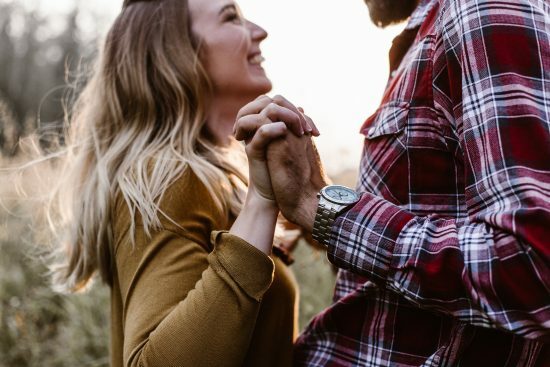 You’ve already established that you want to feel significant in the eyes of your partner, but you also need to form a deep connection and develop an intense love. Connection can be something that’s felt instantaneously in relationships; you meet someone and have great conversations, share interests or are immediately attracted to each other. Love takes more time to form, but in the end, it will make your relationship last long after the initial spark of attraction has worn off. The first four human needs are essential for your personality, and the final two needs are fundamental for your spirit. The fifth relationship need is growth. If you’re not growing, you’re dying, which is to say that as long as you’re growing you can feel fulfilled with yourself and confident in your relationship with your partner. The fifth need, or the need to grow, ties directly to the sixth and final human need. That’s because we want to grow so we have something to give, or contribute. As Tony Robbins has said before, “The secret to living is giving.” When something good happens to you, what’s the first thing you want to do? Tell someone you love. Life is about creating meaning, and a huge part of that is contributing to the world around us. This also applies directly to your relationships: What are you contributing? How are you providing for your partner mentally, emotionally, physically and financially? How are they contributing to your wellbeing and happiness? There are lots of ways to meet your needs. You need to personally make sure all six of your needs are being met, and you have to fulfill your partner’s needs as well. To develop a compatible relationship, you need to have at least three of your needs being met by your partner. However, the relationship will be deeper if you have more needs being met. Find out more about creating and sustaining relationships, and finding your true purpose in life, at Date With Destiny.